I don’t like it, I SIMPLY LOVE It!!!! This is the greatest blog! Trader Robes your local grocery LORE! There is nothing better than this. Robin has taken on a lot of projects in her days, and this as with many is bound to be a gift that keeps on giving. 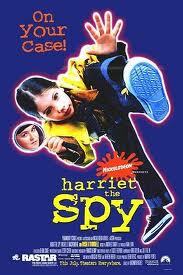 Thanks for the Harriet The Spy shout out. I f*ing love that movie!